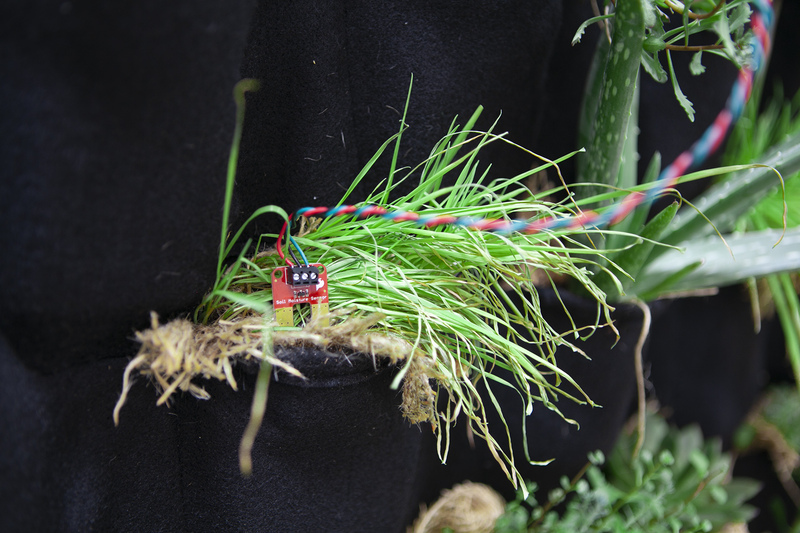 Installation with felt, plants, Raspberry Pi, Arduino, LCD Screen, Powerswitch Tail, soil moisture sensor, animation. Re-processed Garden is by Victoria Bradbury & Mark Hursty. 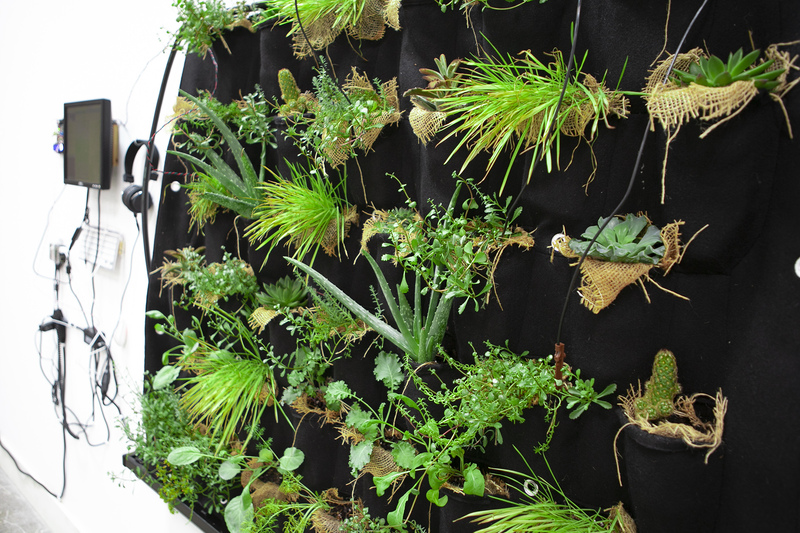 Re-processed Garden is a fledgling ecosystem mediated by architecture, sensors and custom software. 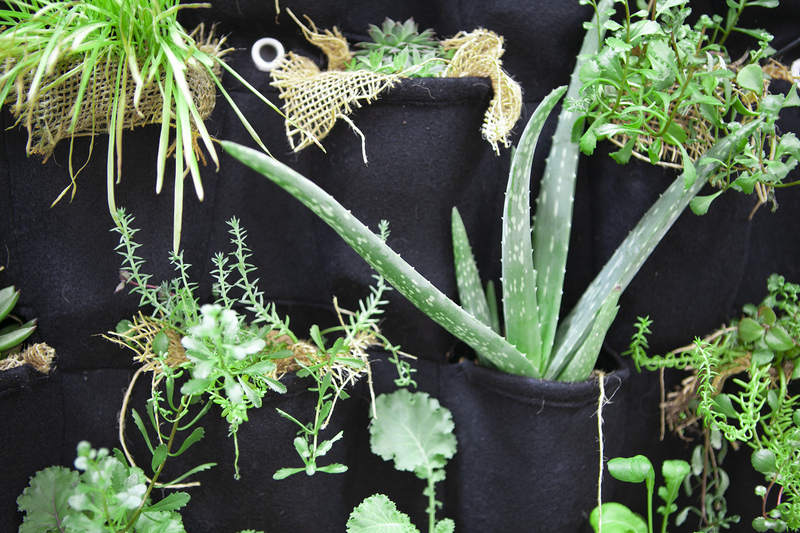 The garden is sewn in a muqarna-like pattern using felt fabric and planted with succulents and edibles. The flanking computational system reads values from a soil moisture sensor. These values are read by an Arduino microctroller and displayed on a mini LCD. The 'wetness' or 'dryness' threshold is sent through to Processing, which determines if the garden requires watering. When it does, and the moisture has dropped below a certain threshold, a Powertail plug strip activates a pump, which sends water back to the plants, then turns off when the garden is moist again. 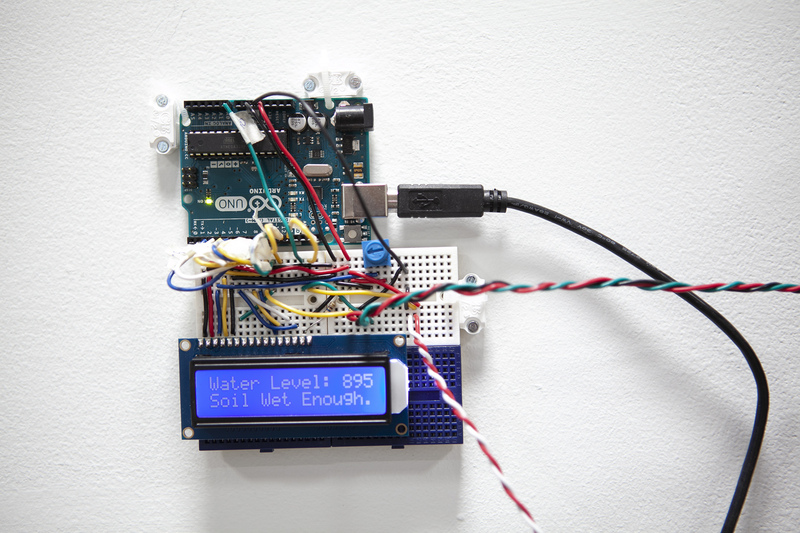 The screen displays a looping animation of dripping stalactite forms and the Processing sketch iterating through soil moisture values. 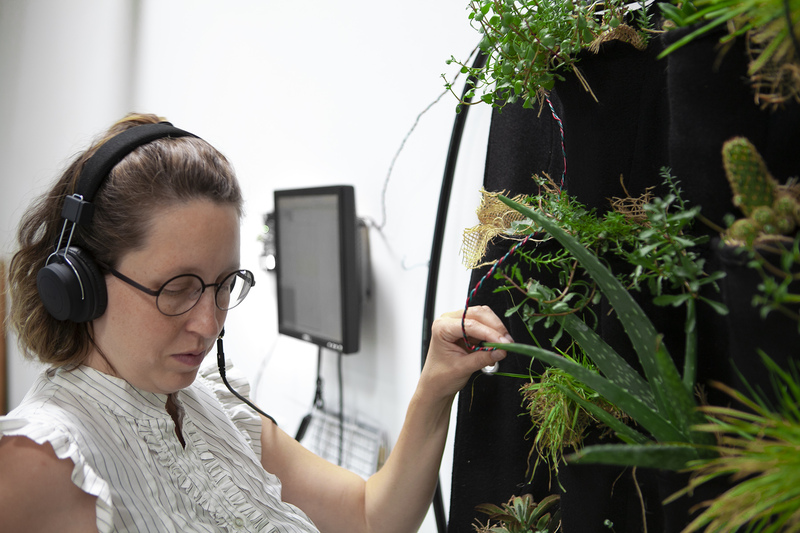 On the headphones, a viewer can hear the garden 'sing' a simple children's song. The pitch of the song's loop is determined by the wetness of the garden in real time. The wetter the garden, the higher pitch and faster the song. If the garden is more dry, the song plays more slowly and at a lower pitch. 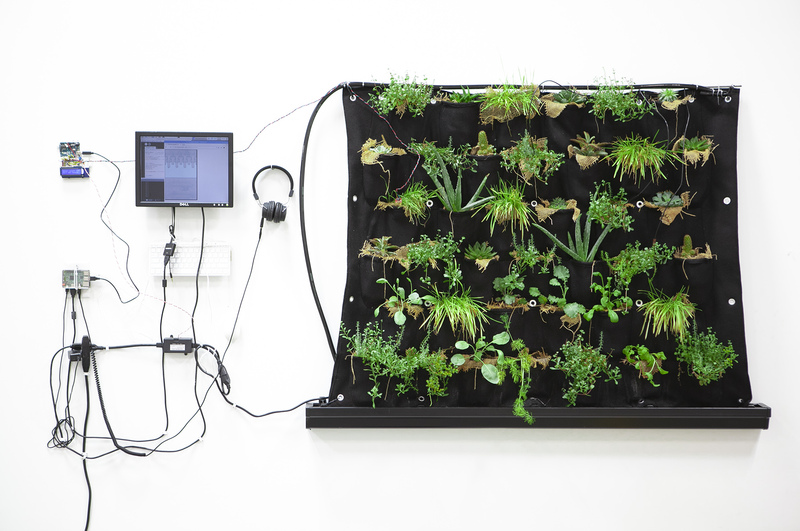 The song imbues the plants with human characteristics and underlines the fragility of ecosystems when they depend upon human and computational factors. Re-processed Garden. Photographs by Rocky Kenworthy, 2018.
and supported in part by The University of North Carolina Asheville Department of New Media.